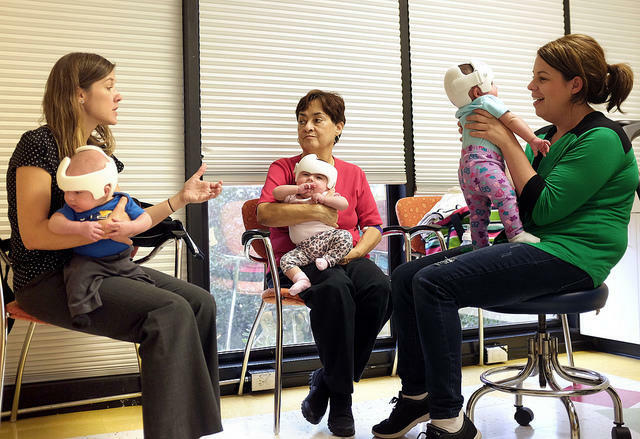 Clinician Theresa Suarez (left) explains to nanny Linda Gomez (center) and mom Carly Aly how to monitor the Aly triplet's helmet use. As parents of newborns have been following pediatric recommendations of putting their babies to sleep on their backs to prevent Sudden Infant Death Syndrome, or SIDS, there has been a steep rise in babies with misshapen skulls. 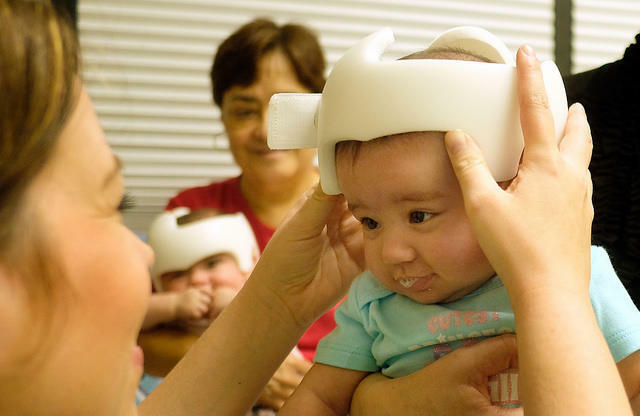 Now, doctors have increased prescribing orthotic headgear to correct the condition among infants. As many as 47 percent of infants have found to have some degree of the condition called brachycephaly – when an infant's skull flattens after prolonged periods of laying on its back. Camille, along with her two siblings, Adam and Sophia were diagnosed with brachycephaly. 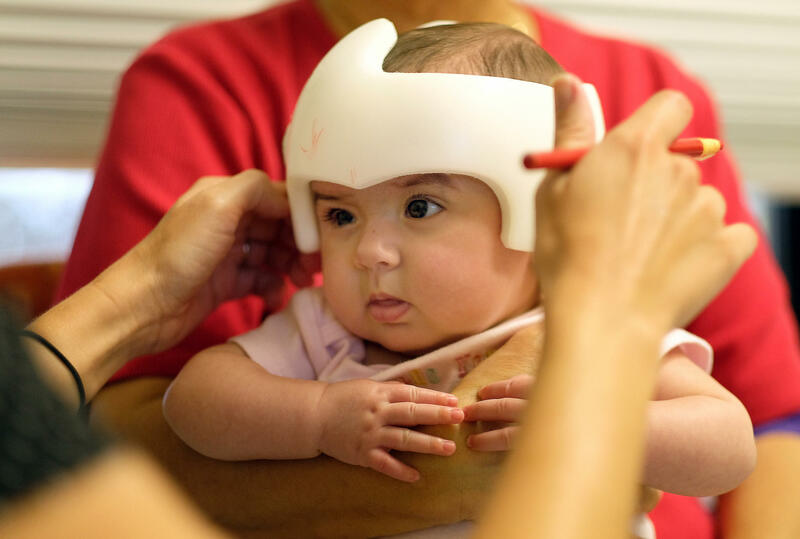 Occupational Therapist Theresa Suarez of the Cranial Technologies Lab in Austin makes adjustments to a helmet for one of Carly Aly's triplets. 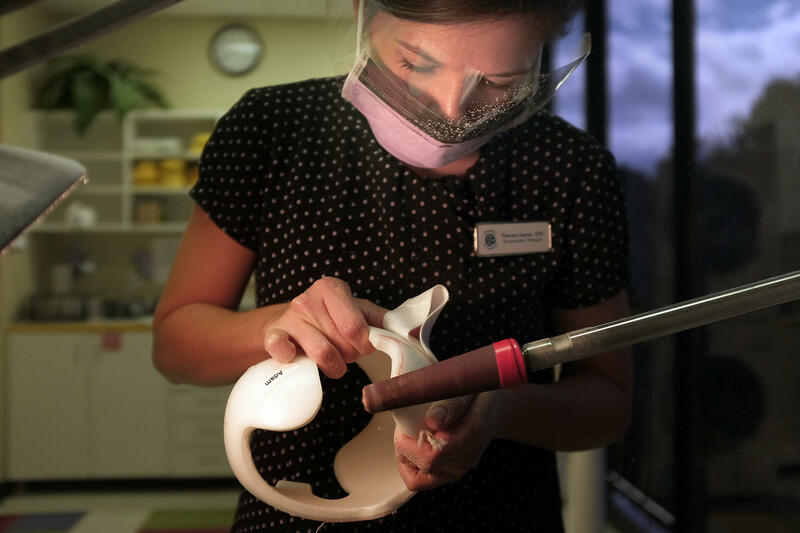 But pediatric neurosurgeon Luerssen said the orthotic helmets are being over-prescribed, and a 2014 study suggested the helmets do next to nothing to reshape an infant's head. “It’s cosmetic. I mean it doesn’t really affect their brain function all,” he said. “It’s just simply a way of making sure that they look as normal as possible." Texas' Maternal Mortality Rate Doubled In Two Years. Researchers Don’t Know Why. 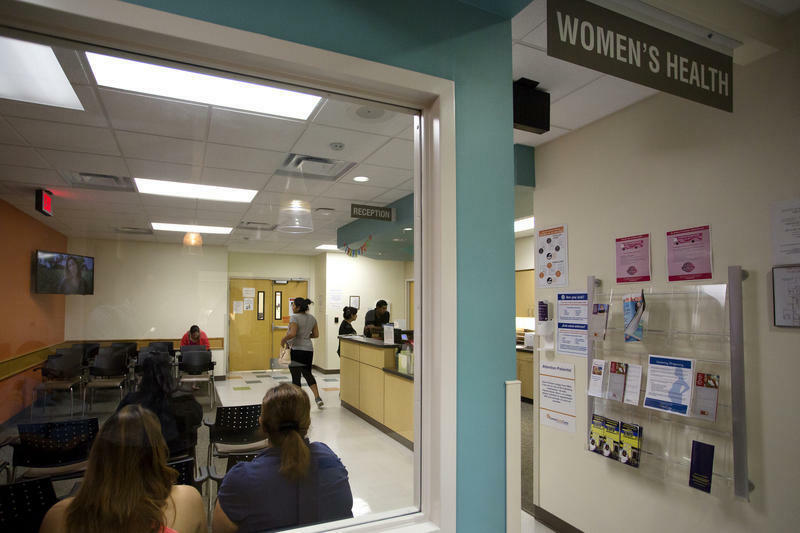 Within a two-year period between 2010 and 2012, the rate of pregnant women dying in Texas doubled – and it’s not entirely clear why. 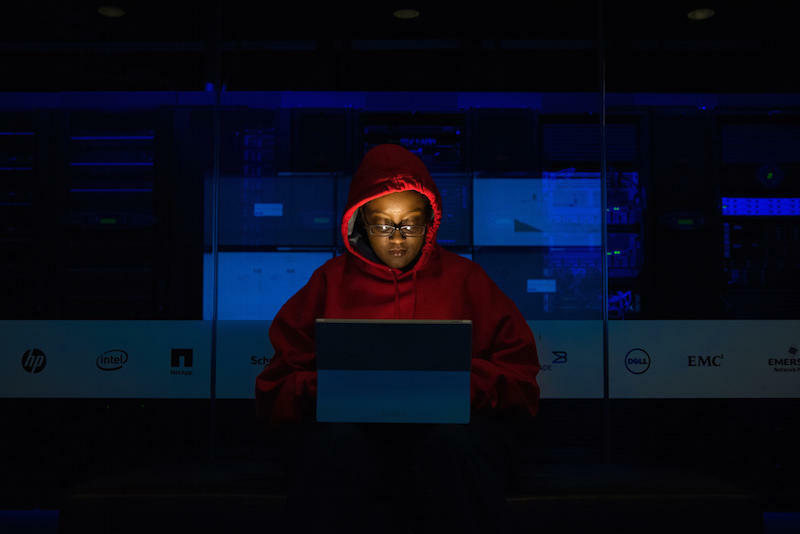 Can Working Too Hard Give You A Stroke? In 2001, Jonas Koffler was working for a tech startup in Austin. He was 26 years old, ambitious, and climbing the company ladder by working over 70 hours a week. He'd work around the clock, taking cat naps rather than logging a full night's sleep. He was happy to do it, too. His hard work, it seemed, was getting results. And then – suddenly – everything stopped. One moment he was giving a presentation; the next, he was in a hospital. He'd had a stroke. The doctors told him that the stress and overexertion from his work may have helped cause it.